Named after Francois-Marie Bissot, a French Canadian explorer and soldier, the city was settled by fur traders in 1732 and is Indiana's oldest city. Located in picturesque Knox County, Vincennes is a prime destination for history buffs and agriculture enthusiasts. In fact, agritourism accounts for a large portion of tourist visits to Vincennes. Attractions include local galleries, performance venues, nature parks, and notable historic sites in and around the city. This popular park is home to the George Rogers Clark Memorial, a grand rotunda that houses a lifelike, seven-foot-tall bronze statue of George Rogers Clark. An inscription on the bronze statue of Clark reads “a country is not worth protecting if it is not worth claiming.” At 25 years old, Clark led a band of frontiersmen into Illinois County. At the time, British forces had complete control of the county, and Indian raids on frontier settlements made the area especially dangerous. In addition to the Clark statue, the park contains seven murals that depict important events in the history of Vincennes and surrounding towns. The park is open to the public free of charge. The Red Skelton Museum of American Comedy is dedicated to the memory of Red Skelton, a beloved comedian who was known for his ability to make people laugh even while battling personal tragedies. Skelton had an illustrious career in radio, television, and film, making him famous across the country. At the museum, guests can view a 3,500-square-foot exhibit that details Red Skelton's life, career achievements, and personal setbacks. The exhibit contains memorabilia as well as iconic images and video clips from Red Skelton's performances. The museum is open every day of the week except for Mondays, and tours are available upon request. The President William Henry Harrison Mansion is the stately home where America's 9th U.S. President raised his family. He lived at the Grouseland estate while serving as governor of the Indiana Territory before his election to the U.S. House of Representatives. The cozy brick home is known as Indiana's first brick house, and it is also a registered National Historic Landmark. Filled with artifacts from Harrison's early life and political career, Grouseland is open to visitors year-round . During a tour of the home, guests get a clear idea of what life was like for frontier dwellers in the early 1800s as well as a glimpse into President Harrison's personality and accomplishments. The Indiana Military Museum is known for having one of the most extensive collections of military artifacts in the United States. With relics from the American Revolutionary War and beyond, the museum covers 200-plus years of history. Visitors can view iconic aircraft and vehicles as well as old military uniforms, weapons and equipment. Exhibits are switched out often since the Indiana Military Museum works closely with the Evansville Museum of Arts, History and Science, the USS LST Ship Memorial Museum, and others. Donations from locals as well as corporate sponsors support the Indiana Military Museum, and this partnership keeps admission rates low ($5 for adults and $3 for kids) and increases community involvement. Group tours of the military museum are available upon request. Ouabache (Wabash) Trails Park is a large recreational area in Knox County. Wabash Trails Park is Lined with picturesque nature trails and crisscrossed with small streams that empty into the Wabash River. It is a peaceful spot for family outings and overnight camping. Amenities in the 250-acre park include four rental cabins, 35 campsites with electric hookups, nine tent sites, and one primitive campground. There are bathrooms and showers on the property as well as picnic areas for daytime visitors. Pets are allowed on the campgrounds but not in the private cabins. The Vincennes State Historic Site pays homage to Indiana's early statehood. It is the area where Chief Tecumseh once lived, the home of America's 9th president William Henry Harrison, and the spot where American troops prepared for the Battle of Tippecanoe. Today, guests can stop by the visitor's center at the Vincennes State Historic Site to learn about all the noteworthy events and people from Vincenne's past. The site also includes the original territorial capitol, a replica of Indiana's first college, the Elihu Stout print shop, and a historic home known as the Thompson birthplace. Admission to the site is $6 for adults and $3 for children. 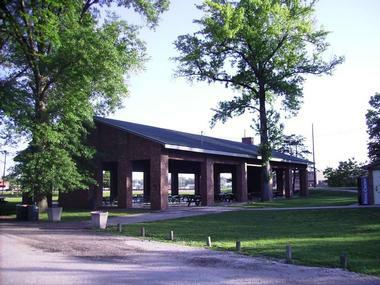 Fort Knox II is located three miles north of Vincennes on the Wabash River. Constructed in 1803, Fort Knox II served a strategic purpose for American troops during the war of 1812. Modern visitors can attend a yearly event where actors replicate the confrontation between Governor William Henry Harrison and Shawnee Chief Tecumseh. A gentlemen's duel, demonstrations of cannons, rifles, and muskets, and history-based activities for children are all part of the two-day event. The reenactment includes food vendors and individuals selling period items. For guests who visit outside of the annual event, it is easy to take a self-guided tour of Fort Knox II or to join a guided tour for a small fee. The Basilica of St. Francis Xavier, also known as the Old Cathedral, dates back to 1826. The building is named after Francis Xavier, a Jesuit apostle known as the first Christian missionary to visit Japan, Borneo, and the Maluku Islands. The current cathedral in Vincennes was preceded by a small log structure where the first Indiana Parish was organized in 1832. Known for its rich history, the Basilica and its adjoining cemetery is the final resting place of four Catholic bishops as well as 4,000-plus Vincennes residents. Visitors can view the basilica and the cemetery during a self-guided or a guided tour. 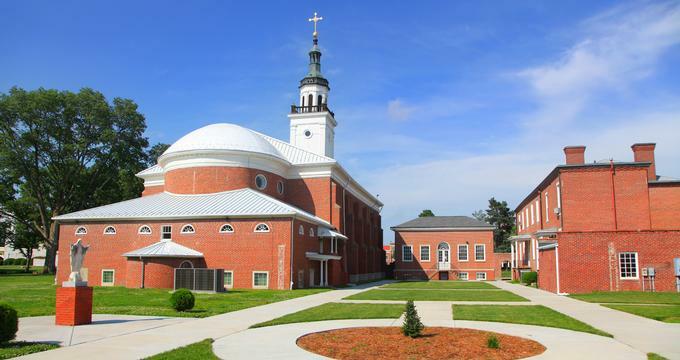 Tours are not permitted during mass, but guests are welcome attend the Saturday and Sunday services. The McGrady Brockman house serves as the Knox County Public Library's history and genealogy center. The center houses four genealogical collections as well as original records from the Knox County Library. Some of the records are from the late 1700s. Guests can view everything from marriage licenses to high school yearbooks. Additionally, extensive research into the history of Indiana and Illinois counties as well as the states of Virginia, Kentucky, Tennessee, North Carolina, and South Carolina are part of the library's collection. The McGrady Brockman house also has microfilm copies of newspapers starting from the year 1807. The library is open six days a week. Charlie's Candy has been a staple of the Vincennes community since 1955. The business began in the home of Charles and Lorethea Hamke. During the remodel of their house, they would reward their helpful friends with tins of homemade caramel corn after a long day of work. Soon, strangers began reaching out to the Hamkes with requests to purchase tins of their famous dessert. The couple started a thriving business that they eventually passed on to some family friends. Charlie's Candy still operates out of the old Hamke home. Modern visitors can buy caramel corn as well as other types of sweets. Seasonal items are also available throughout the year. The Old Cathedral Library is famous for being Indiana's first library. The building houses more than 10,000 rare books and documents, including a Papal Bull authored by Pope John XXII in 1319. The oldest book in the collection is an illuminated manuscript volume from the Officium Sanctae Mariae. In addition to written works, the library contains a host of artifacts. Prehistoric stonework, maps, and paintings from the 18th and 19th century, as well as the personal effects of President William Henry Harrison, President Abraham Lincoln, and Shawnee Chief Tecumseh are contained in the museum's extensive collection. The Old State Bank once served as the Vincennes Branch of the State Bank of Indiana. The building, which was constructed in 1838, models Greek Revival architecture with its massive columns and eye-catching facade. The bank is located just minutes away from the scenic Wabash River and George Rogers Clark National Historic Park. Visitors can take a guided tour of the Old State Bank on Wednesday evenings from June through October. Tours for groups of 10 or more people are available by appointment only. Gregg Park is found on the National Register of Historic Places. It is historically significant because of its architecture, which includes a limestone shelter house and a sophisticated grandstand that hail back to the days of the Works Progress Administration (WPA). The WPA came about as part of the Franklin Roosevelt's New Deal work program. Under the program, hundreds of workers in Indiana banded together to construct Gregg Park. In its heyday, the park was a popular spot for sporting events, gatherings of families and friends, and other recreational activities. Today, visitors can enjoy Gregg Park's peaceful surroundings and historic structures free of charge. Windy Knoll Winery is a family-run business that opened for business in June 2002. Making wine began as a hobby for Rick and Gwen Lesser. Their couple's vineyard started with 32 grapevines and eventually expanded to 700 grapevines. 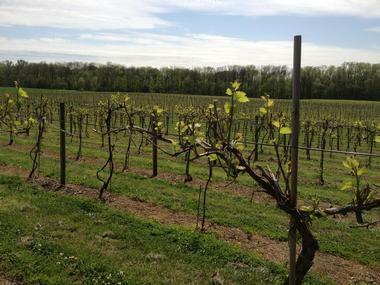 Today, the vineyard sprawls over 37 acres of rolling hills in Vincennes. The grapes are used to produce 10 different types of wines. Wines from Windy Knoll have stood up to national and international competitors in the Indy State Fair Wine Competition, which is the largest domestic and international wine event in the United States. Windy Knoll's wines are available for purchase in-person at the winery or online for Indiana residents. Rainbow Beach Aquatics Center is a family-friendly adventure park that began as an artificial beach in 1936. The pool attached to the beach was renovated in 1971. Additions at that time included a 50-meter competition lap pool as well as a diving board tower with three levels. 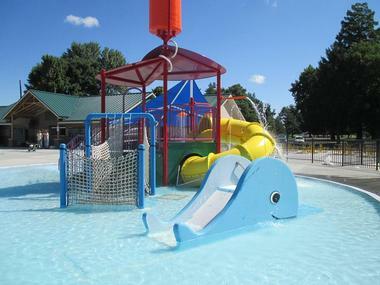 In 2014, Rainbow Beach once again underwent major renovations since management found that Vincennes citizens were traveling to aquatics centers in other communities. After months of hard work and help from sponsors, the aquatics center now contains a large water slide, covered lounging areas with beach chairs, a play area for kids, and a spacious bathhouse. Visitors can reserve the pool for birthday parties, corporate events, and other special occasions.